Hit a slap-shot to the goal when you pack the stands with guests at the next game! Print Hockey Faceoff Flyers and post them around town in advance, so people know where to catch the scramble! 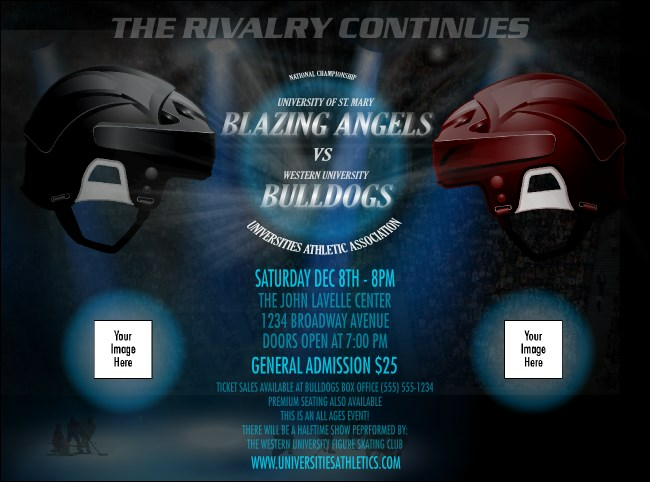 You can even upload your own opposing team images on the flyer to enhance the excitement of the challenge. Invite your guests to watch players fly over the open ice with hockey-themed flyers from TicketPrinting.com.